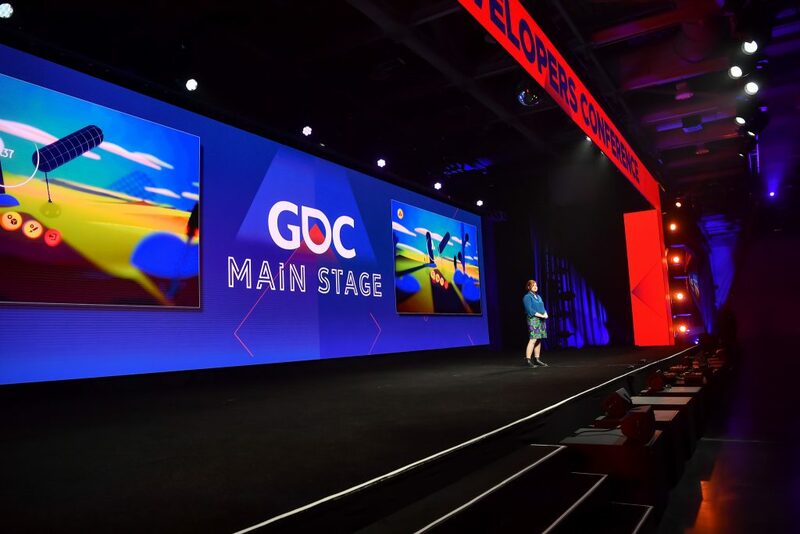 Each March, thousands of game developers from around the world convene in San Francisco, California in anticipation for the world’s largest professional game industry event: Game Developers Conference (GDC). A five-day event jam-packed with talks from world-class speakers, exciting new game and technology announcements, and ample networking opportunities, GDC is best described as a professional and playful free-for-all, celebrating the talent and accomplishments of the industry we all know and love! Last week, we had the amazing opportunity to attend GDC live and in person. While both of us have attended the conference before, this year’s show was certainly unforgettable! We met up with friends old and new, attended lots of really cool events and meetups, and helped spread the word about our job openings here at Filament. Want to know what we thought of this year’s show? Check out our biggest takeaways from GDC 2019 below! A key theme underlying much of our discussions with fellow industry professionals, aspiring developers, and students at this year’s show was an increased interest in pursuing careers in games for education and social change. Questions that we were frequently asked included “how do you measure the impact of your game?”, “what’s it like collaborating with other organizations outside of the games industry?”, and “what kinds of volunteer/community work do you do outside of your role at Filament?” This growing interest in creating games for impact—in contrast to more traditional consumer-facing AAA and mobile development—is particularly exciting to us as representatives of a game studio whose mission statement is to “create playful experiences that improve people’s lives.” Our hope is that the perceived uptick in games for impact career interest is a direct effect of recent initiatives aimed at amplifying diverse voices within the games industry. Participating developers seem to be seeking work at studios that that value their thoughts, perspectives, and interests – often finding that careers in games for impact are more closely aligned to their personal values than the work available in the commercial game development world. Also of note at GDC 2019 was a huge increase in both events and spaces catering specifically to marginalized demographics. This includes an emphasis on low-key events focused on relaxation, human connection, and alcohol-free interactions, as well as meetups and spaces created specifically for communities like LGBTQIA and Latinx game developers. Xbox was really leading the way in this regard, hosting a series of “Gaming for Everyone Community Events” throughout the show which provided free food, networking spaces, and professional development opportunities for diverse developer communities at the show. Additionally, the GDC session lineup featured a selection of talks and panels covering topics like building an inclusive game studio culture, diversity and inclusion in esports, and designing accessible player experiences. It was exciting to see all the efforts people were putting towards attracting and retaining diverse talent in the games industry at this year’s show- and we’re excited to see how this conversation evolves in future years! It’s been a challenging past year for the games industry, and that’s putting it lightly. Following reports of “100-hour weeks” at Red Dead Redemption 2 developer Rockstar Games, the closure of award-winning studio Telltale Games, and mass layoffs at companies like ArenaNet, Activision Blizzard, and—as of yesterday morning—Electronic Arts, much conversation at GDC 2019 centered around topics like poor working conditions and “crunch” culture in the games industry. Game Workers Unite, a pro-union gamedev organization, had a sizable presence at this year’s conference, which helped spark much discussion on how the games industry can better support its workers. While these important conversations will surely continue to evolve in the coming months, it was really refreshing to have the opportunity to reflect on and debate topics related to gamedev workers rights alongside our peers at GDC!